The Near-Term Task Force Report – Readable for all? But that doesn’t mean we’re not trying. We want to improve the way we communicate outside the agency. Our Plain Language initiative is one part of this effort. 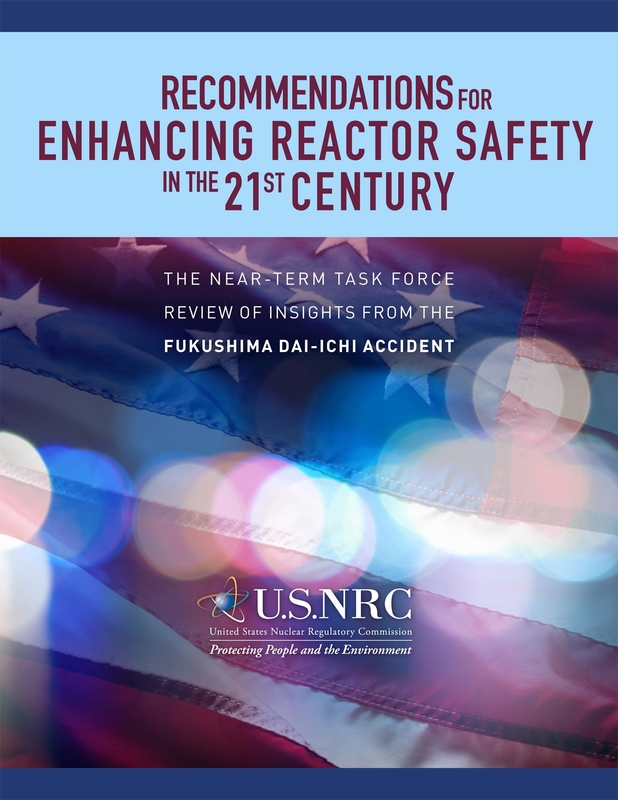 More specifically, though, we’re trying to make sure our important report from the task force that examined what happened at Fukushima in Japan and proposed recommendations for action is easy to read and understand. If you have read the report in full or any portion, please provide a comment here with your feedback in terms of how well you can and/or cannot understand it. Comments will be collected and provided to our Commission to be considered in terms of how we can improve the way we communicate. The report is located here: http://pbadupws.nrc.gov/docs/ML1118/ML111861807.pdf. Writing “this page was intentionally left blank” is a standard approach when documents are maintained in both printed and electronic form. Because sheets of paper are always 2-sided, it is normal for some pages to be left blank. New chapters or sections almost always start on the right hand page of a book. So in an electronic document, blank pages sometimes need to be inserted to ensure the printed document comes out correctly. But it is not necessarily obvious to the reader of the electronic document whether a page was left blank intentionally for formatting purposes, or if some sort of mistake or electronic glitch was made by the author which could indicate missing content. So that message is sometimes intentionally inserted by the author so the reader knows what is going on. Firstly let me tell you that English is not my native language and still the pages that I read are very understandable. The document is easy to read and well explained; however I don’t understand why did you write down this page was intentionally left in blank… it is not in blank anymore. I like this initiative. I love science but I am not a scientist so being able to follow your developments in easier to follow language will be very helpful. All of your recommendations in your reports are more than enough to be implemented. The Plain Language initiative sounds like a great idea. It does become a problem when team members refer to the same thing in much different terms.